I help people invest their money utilizing the same evidence-based method that has set me financially free. I firmly believe, I can make a positive contribution to your life by sharing both my knowledge and the ready-to-use stock picks of the FALCON Method. Why should you listen to a young-looking guy like me? I got tired of the rat race very early in my life and decided to devote all my time, energy and money to acquiring the knowledge that could potentially set me free. I have read hundreds of investment books throughout the years and distilled their content to build a unique evidence-based method of stock selection. Not too many people put in this amount of work. I’ve been living financially free since the age of 33 as a result. I was born in Hungary in 1982. My parents got divorced before I turned 10 and this had a huge influence on my life. I stayed with my mother, who was working as a kindergarten teacher, while my father became one of the most successful businessmen in our town. I saw two very different financial realities at a young age and made a decision that determined my way: I want to become financially free as quickly as possible so that I do not need to put in long hours (like my father who was always working) to get the kind of income that lets me go to the grocery store and shop with the feeling that I can afford to buy anything I desire (which we most certainly could not do with my mother’s salary). 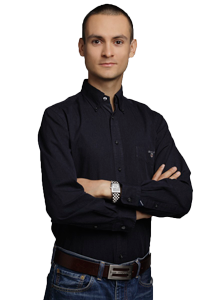 This motivation led me to become an economist and start my career as an equity analyst at Hungary’s most reputable online financial journal. As I wanted to break free, I established and sold my first company by the age of 24 and more of the same “building and selling” processes followed afterwards. I benefited immensely from having built companies from scratch. This is an advantage many investors do not have. Having been the CEO of companies in different fields (like e-commerce, digital agency, media), I can honestly tell you that as an outside investor you have absolutely no chance to see what is happening inside the black box of a company. 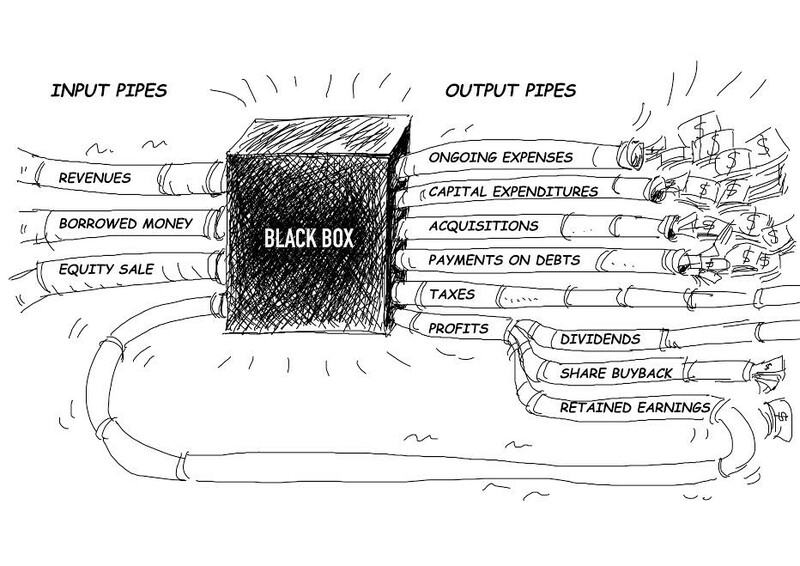 You will never know the tiny details so it is better to accept this and focus on the money carrying input and output pipes connected to the corporate black box (described in my book), because those are the ones that are really important and still visible from the outside. Having tried both sides of the story – the CEO and the investor roles – I am sure that superior investment results can be achieved by focusing on the money pipes just as the FALCON Method does. Since investing is my passion, I surrendered all my executive roles at the age of 33 (I kept some ownership stake in one of my companies but retired from its operative management) and became a full-time investor. I have read hundreds of books along the way, asked the authors and other reputable investors tons of questions until my investment process began to crystallize. I wrote a book on dividend investing that became a category bestseller in Hungary and taught my approach in both personal and online video formats. I have done this teaching and writing part without a definite financial motivation (since I was already living from passive income at that stage), my goal was to get my message to as many people as possible and help them move in the right direction. This is how the FALCON Method Newsletter was born. Up until its birth I was driving full throttle with my eyes closed: making enormous effort to teach my way of investing to as many people as possible, but I failed to realize that most of them only wanted to understand the underlying thought process and once they were convinced that my approach should work, they wanted me to manage their money or at least help them with the stock selection. The newsletter service is as close to this desired solution as possible and it is more than affordable to all the people who trust the process I have outlined in my book. I wrote all those pages so that you shouldn’t buy a pig in a poke like with most newsletters. Please take your time, understand how the FALCON Method works and once you think that you could consistently follow this investment system in the long run, I welcome you on board. If you haven’t downloaded the FREE Guide yet, I highly encourage you to do it now! This is the most logical first step you can take to discover how the FALCON Method can make your life easier.